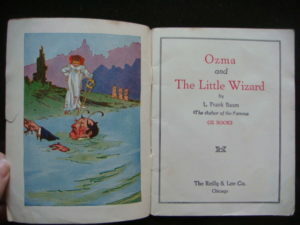 Here is the very desirable Reilly & Lee Jell-O promotional booklet of Ozma and the Little Wizard. 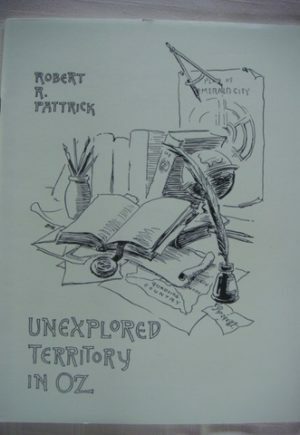 Listed under Baum Addenda in Bibliographia Oziana. 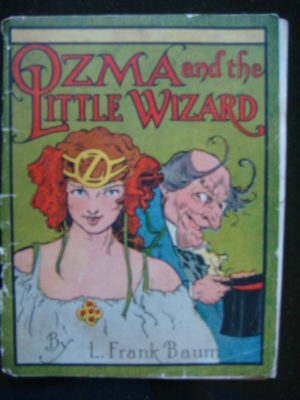 Oziana dates it at 1932. Has 8 color Neill illustration pages and Jell-O ads and desert recipes. 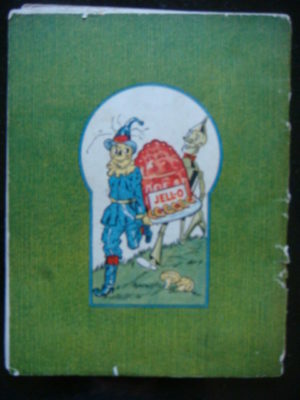 Rear cover shows Scarecrow and Tin-man carrying a giant Jell-O mold. Small softcover book, just 7 1/16″ by 5 3/16″. 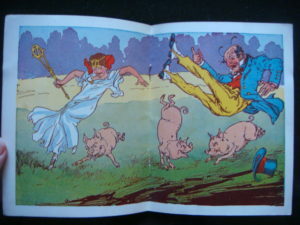 30 pages, with illustrated endpapers. 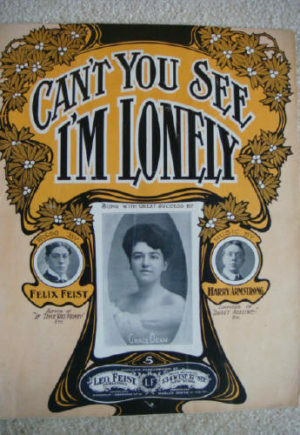 Apparently there was only one printing of this unusual item (one of a series of 4). One of my “Wild and Homeless” items that’s looking for a non-judgmental home. Condition is fair. Cover has edge wear and tearing on the spine that leaves it just barely attached to stapled text block, and a little offset. Interior is complete but with an edge tear to first page, and moderate wear and soiling throughout. Offered at a discount due to condition.